﻿Another source of inspiration is Mucha’s work for Boutique Fouquet.Only few jewels made by Parisian jewellers after Mucha’s designs around 1900 have been preserved. 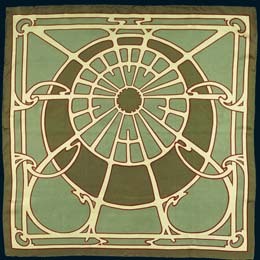 Jarmila has made replicas of some of these in her studio. 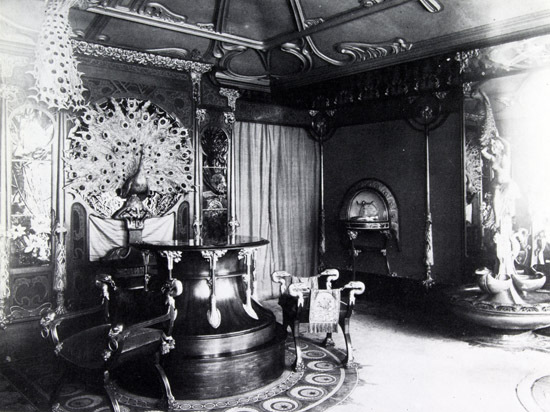 She has used decorative elements of jeweller Fouquet’s shop on Rue Royale for a number of objects in Mucha’s style. 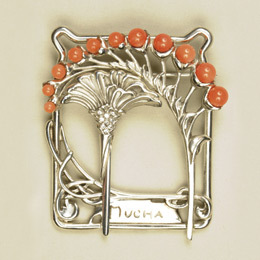 Brooch – inspired by Mucha’s design for Georges Fouquet Jewellery in Paris.